Do you need dedicated quilting machines? If you're thinking about making a quilt larger than cradle sized, that's a good question -- and probably one you're asking yourself right now. The problem large quilts pose is how to deal with the bits that you're not working on, both those that you've finished, and those you have not yet begun. Longarm quilting machines give you more room to roll up the quilted part of your blanket. In effect, it gives you more room to work. But they can be prohibitively expensive. Do you need one? Or is there a less expensive solution? Lucky you, there are some ways to come at this problem. Some are expensive, but many others are less so. Your mission, should you choose to accept it, is first to figure out which features you can't live without, then make a budget, then finally, to select a machine that will make your quilting dreams come true. There are three different levels of machines that you can use for quilting. The most inexpensive option and the one that many home quilters use is a standard sewing machine. You can find an excellent home sewing machine for under $500. On the negative, it can be awkward to move a large quilt through a standard home sewing machine. The next level up is a sewing and quilting machine that is specially designed for quilting. These models may have a more extended arm. They may also handle thick fabrics and multiple layers better than some standard machines. Also, a sewing and quilting machine may have an extended work table. Finally, you can buy a longarm, professional or semi-pro quality quilting machine. These cost thousands of dollars, and, frankly, can be both too much expense, and too much machine for the average home quilter. How Do You Choose a Machine? If you've decided to buy a quilting machine, here are a few things to consider. Do you need dedicated quilting machines? That depends on you and your usage. 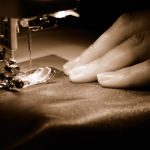 If you're starting out, a standard sewing machine should be fine. If you're becoming a serious quilter, then you might consider stepping up to a quilting machine. 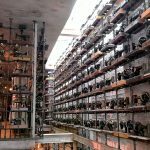 Do you need a longarm machine? Unless you've reached your limit with a high-end quilting and sewing machine, the answer is, probably not. But if quilting is your life or your livelihood, it might be a good investment. It is possible to quilt a full-sized quilt on a regular sewing machine, using a quilting frame with rollers. You can do it very carefully without rollers. Once you've decided which level of machine to pursue, there are a few key features you should look for in quilting machines. How does the machine handle thick fabrics and multiple layers? This is the obvious one. When you're quilting, you're working with multiple layers. You might be sewing a fleece quilt, with the quilt face on top, and thick fleece on the bottom instead of padding. Alternately, you might be sewing two cotton faces together with batting in the middle. Either way, a machine specifically designed to handle heavy or thick work will serve you well. What does the harp space look like? The harp space, or throat space, is the horizontal space between the needle and the body of the machine. That is where you will roll up the quilted part of your project while you quilt the rest. A larger harp space will give you more room to work. However, there are ways of working around a smaller harp space. Does it have a speed control mechanism? A speed control mechanism is like cruise control on a car. Once you set the speed, the machine will not go faster, or slower than that speed, no matter how hard you press the pedal. When you're quilting, this will help keep your stitching under control as well. Is there a knee lift? A knee lift is a lever that sticks out from the front of your quilting machine and hangs over the table, near your knee. The purpose is to allow you to lift and lower your presser foot hands-free. As you can imagine, this can be a life-saver when you're using both hands to pass your work through the throat of your quilting machine. That depends a lot on your purpose. If you're looking to get your feet wet with quilting, then a primary but heavy duty sewing machine will be fine. The "heavy duty" part means that the machine will be able to handle multiple layers of fabric with batting between them. The "basic" part means that if you don't end up doing as much quilting as you thought you would, then you'll still have a good machine for everyday sewing. If this is you, you should be looking at machines in the $150-$350 range. What if you're an experienced quilter looking to upgrade? In that case, you'll be looking for a higher-end quilting machine that is made for quilting. These machines can run you between $500-$1,000 or even more. And if you're a serious quilter looking to go pro? Well, you can find an excellent industrial quality longarm quilting machine for several thousand dollars. But that's a little out of the scope of this article. First, we consulted trusted review sites like Good Housekeeping, the Tool Report, Sewing From Home, Quilter's Review and others, to find which models they liked. Then we took to the internet to see what real purchasers thought. As a result, we present you with a well-rounded picture of what we believe to be the best quilting machine -- or rather the best quilting machines -- of 2018. What are the best quilting machines for home quilters? Happily, we found quite a few contenders. Good Housekeeping, The Tool Report, and Sewing from Home all liked this model a lot. The Tool Report was particularly impressed that the machine doesn't sacrifice stitch speed for the price. Sewing from Home liked its excellent stitch quality as well. On top of that, for quilters, the knee lever and extended workspace will be a hit. The Tool Report found this model to be excellent value for the money. It is not a do-it-all, versatile type of machine. There aren't huge numbers of decorative stitches, nor does this model have embroidery functions. Also, some reviewers found the learning curve to be rather steep. It is a great machine for a serious home quilter. Juki mostly builds industrial machines, so their home machines are heavy duty and built to last. We liked that Juki specially made this a quilting machine, with attention to the specific needs of quilters. Specifically, the ability to handle heavy work and multiple layers. The extra harp room and knee lever are helpful, also. It's not an inexpensive machine, but everyone seems to agree that you'll get your money's worth. 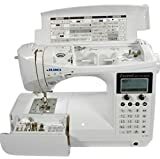 Amazon reviewers echoed many of these statements, 80 percent of purchasers gave this model five stars of five, emphasizing that these are serious quilting machines for an experienced quilter. Reviewers unanimously loved the 1500 stitch-per-minute speed. As you can imagine, with a large project, a high stitch speed can be important. They also liked the four-level feed dog adjustment, rather than just an "up" and "down" setting. It also comes with an impressive accessory pack. On top of that, you don't have to take the machine apart for maintenance. Small holes allow you to oil your machine easily and efficiently. Again, the quilting focus comes at the expense of "extras" like decorative and embroidery stitches. Also, reviewers found the thread cutter to be awkward. Several purchasers cited problems with thread tension. Sewing From Home calls this a quilting "dream machine," and "one of the finest, most reliable models in the Brother line." Quilter's Review loves it as well, specifically citing its impressive stitch speed. It is another one of the very serious, heavy duty quilting machines. It does quilting and everyday sewing well, but if you're looking for fancy stitches and embroidery functions, this isn't the machine you want. You may also like the fact that this quilting machine is pretty easy to set up out of the box, and once you're used to the setup, it can be quite versatile as well. Eighty-five percent of Amazon purchasers gave this model five of five stars. The most common complaint was thread tension issues. Knee lift: No, but there is a port for one. This quilting machine is a computerized, rather than manual machine, and that means extra precision. What's more, there are 600 built-in stitches, in case you want to get fancy. Likewise, you can program and save your own patterns. There are also four monogram fonts. It that's not enough, this model also comes with lots of accessories. Reviewers also praised Juki's customer service. Impressive quilting machines like this come with an impressive price tag. Also, it may be a bit too much machine for beginners. The Tool Report, Quilter's Review, and Sewing From Home loved this machine for all purposes, including quilting. This computerized sewing machine, with hundreds of built-in stitches, is an excellent choice for a quilter seeking a more feature-rich experience. Indeed, The Tool Report calls it "a dream machine for quilters and seamstresses alike." If you can tolerate the hit to the wallet, and the possible hit to the ego while you're still learning how all the parts go together, this could be your dream quilting machine. Eighty-four percent of Amazon purchasers gave this model five of five stars. Those who were less pleased cited the steep learning curve and complicated setup. With 1600 stitches per minute, this is a powerhouse of a quilting machine. To the point that, despite its limitations (see below), The Tool Report still considers it one of the best all-around sewing machines. This machine is one of the stripped-down sewing and quilting machines. In fact, it only sews with a straight stitch. If you want decorative stitches -- or even buttonholes -- this is not the machine for you. If you're looking for a durable, powerful, fast machine to make quick work of a large quilting project, give this quilting machine a look. It will serve well for quilting and basic sewing. However, for the price tag, we find it lacking in features. The right buyer, however, may consider the incredible power and speed to be a fair trade-off. Is that right buyer you? You'll have to give it some thought. Interestingly, 100 percent of Amazon purchasers gave this machine five of five stars. They praised its durability, power, and speed, using words like "sturdy," "practical," and "workhorse." If you do mostly, or all, straight stitch work, this machine may be well worth your consideration. For our money, we liked the Brother PQ1500SL. First, you get a lot of quilting-specific features for a very reasonable price tag. Second, it has that all-important extended workspace. Finally, its reliability and ease of use make it, as several reviewers also said, a quilting dream machine. Next articleThe Brother CE1008 Sewing Machine: A Bargain or a Bust?